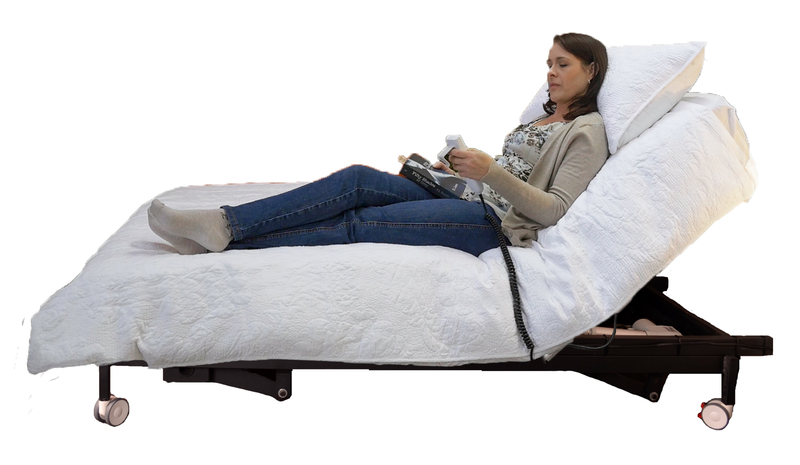 As the name suggests, the Bluesky Healthcare Bodyline Back Lift Bed is designed to elevate the head rest of the bed from flat to just shy of 90 degrees. 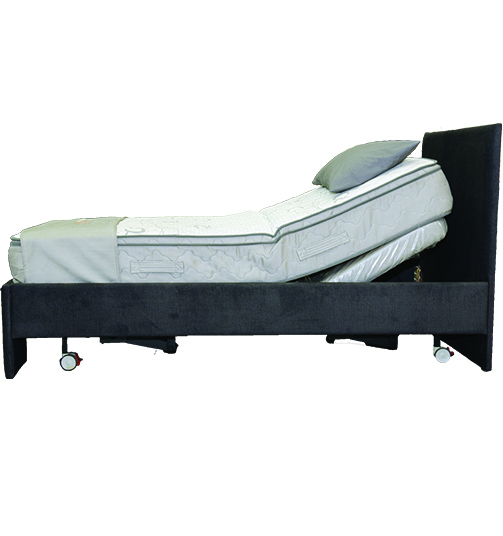 The Bed is available in all standard sizes as well as in custom sizes. 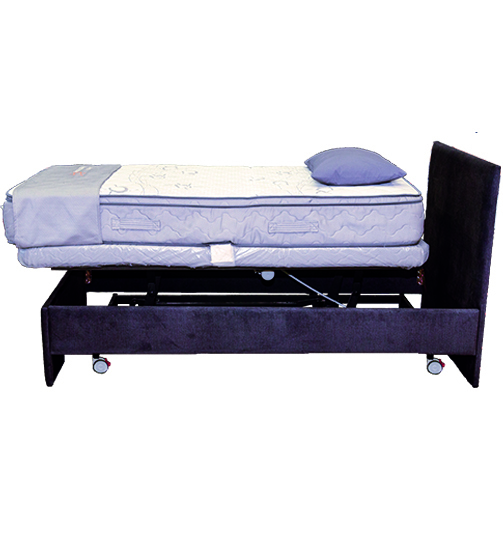 If you would like to be able to adjust the legs as well as the head of the bed, have a look at our dual lift beds. 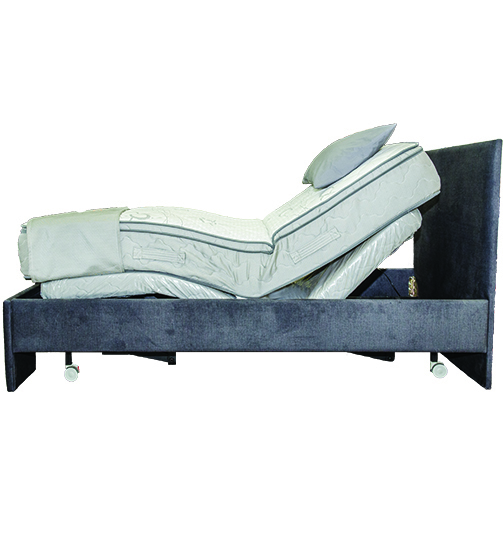 You can also choose to add the Hi-Lo feature to this bed, making it a Hi-Lo Head lift Adjustable Bed. You can find out more about the Hi-lo function by clicking here. Like all of our beds, this bed is custom made to your requirements. This means that we can make it the perfect height or length to suit your needs. We also offer five different mattresses that you can choose from. Unlike many other electric adjustable beds, our mattresses don't require any metal/plastic bars to stop the mattresses sliding off the bed. We have developed a velcro system that secures the mattress to the Bed. This means that you can sit down on the base of your bed without having to worry about any wires bruising the back of your legs and as an bonus, Bluesky Healthcare Mattresses don't require any turning. Just as our Beds all of our Mattresses are made here in Western Australia especially for Bluesky Healthcare and for Adjustable Beds. This means that all the materials used in the mattresses are designed to be moved and bent without causing any damage to the mattress. 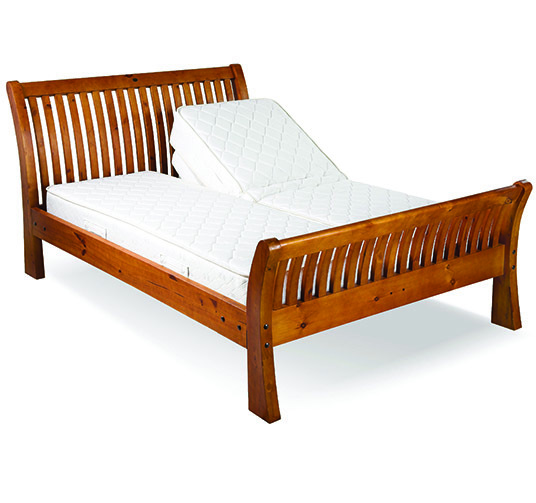 We are very proud of our beds and offer a comprehensive five-year warranty on all of our Beds. This warranty covers the mattress, motors, frame and surround if you choose to have one. What truly makes our beds remarkable is not only the quality craftsmanship that comes from Australian-made products, but the German-made hospital grade motors. The motors that we use in our beds are the same ones that are used in operating theatres all over the world. These motors are designed to be hosed down, so they are completely enclosed, making them dust and water proof and they operate at a very low noise level. The frames are high carbon-heavy gauge tube steel and are powder coated to make them corrosion resistant. They are placed on casters as the beds do tend to be quite heavy. This way you can easily adjust the position of your bed in your room after it has been delivered and installed. The easy to use soft touch controller is attached to a handy cord, which will make sure that you can't misplace the remote.